In a world where nations discuss climate change and stay-at-home parents have a different spray for every household surface, we’re all a lot more clued up on the environment than 10-20 years ago. For all that, there are still countless things we take for granted: what biodegradation actually is, for instance. Apart from a molecular science-heavy Wikipedia page, there are very few sources which tackle the question of what biodegradable actually means. Well, as experts who only use safe, green cleaning products, we thought we’d try to clear the air a little. At its most general, it is when any product, foodstuff or material breaks down over time into its natural elements, which are absorbed back into Earth’s ecosystem. These natural elements will not be harmful to the planet and will not pose a health risk to people, animals or plant life. This is the day-to-day example of biodegradation with which we are most familiar. You throw your banana peels in the garbage and eventually they erode, grow new bits and end up as compost. However, food is not the only biodegradable material. For example, with the onus on large-scale manufacturers to create products which are environmentally friendly, many plastics are now biodegradable. Biodegradable: 100% Safe for the Environment? Unfortunately, saying that something is “biodegradable” is often a bit of a misnomer. Some items, such as food waste, will biodegrade down into harmless elements; other items, such as biodegradable plastics, will biodegrade down into their core elements while releasing gases into the atmosphere. Plastics, for example, often release methane – a potent greenhouse gas. This means that care must be given regarding the products that we use, so as to ensure they safely break down. The use of green cleaning products is an integral part of who we are as a company. All of our products are certified by the likes of EcoLogo or Green Seal to show they meet the strict environmental standards to which we should all be held going forward. Many mass-manufactured cleaning products contain the likes of ammonia, harsh caustic acid and chelating agents – ours do not. Instead we use products which are made from natural ingredients so that, small as our footprint is, we are doing our part for the environment. Other than the obvious personal health benefits of using natural products over their potentially toxic rivals, biodegradable cleaning products become part of our ecosystem at the end of their lives. When a cleaning product is truly biodegradable, it means improved health of those using them, as well as a cleaner, more sustainable environment. A cleaning product can make our jobs a little easier, but we only feel it right to employ products that match our ideals and values. 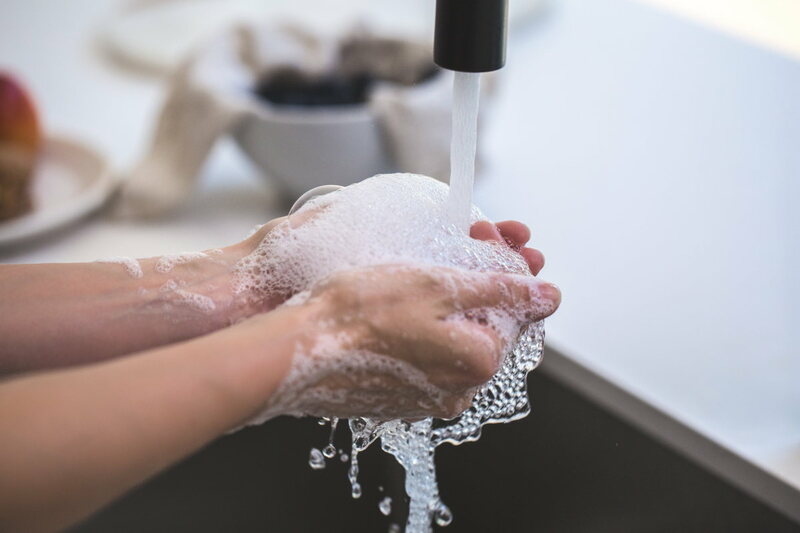 Using a caustic chemical to clean a vanity or sink basin may save us a few minutes of time, but we feel the cost of those savings outweigh the benefit. Part of what our clients can expect from us is a cleaning solution that considers the larger picture. More and more Albertans are looking at the environment and asking how they take take positive steps to influence it. As Alberta’s Cleaner Cleaners, we take our role and responsibilities seriously.